As technologies mature and customer behavior changes, markets must evolve to remain relevant. We have seen tremendous change across many industries during the past 40-50 years, and these changes can help predict the next evolution in the loyalty sector. Customers expect flexibility and convenience from the companies they do business with because people live in a world where almost everything is accessible with a few clicks on their smartphone. Unfortunately, the customer loyalty sector has not kept pace. Most loyalty programs still retain largely the same design as 20 years ago. And the proliferation of programs now makes it very challenging for the customer to choose which are worth joining – in part because these programs offer loyalty currencies that are not compatible across programs and the customer simply cannot spend enough with a single merchant to accumulate enough value in points to redeem for something of emotional interest. This is leading to increased apathy, rather than getting customers more engaged. And, as the market evolves, existing programs that have performed relatively well should expect to find their programs under-performing because what got us to the present won’t be as appealing given different interests among millennials, or mobile capabilities that will help customers satisfy their needs without taking brand preferences into consideration. The key to getting customers once again actively involved in loyalty program participation is through providing greater loyalty point liquidity. Imagine that you had a few banknotes issued by dozens of different countries. The total value might be $500, but you can’t buy much because that value is spread across too many incompatible currencies. Many examples demonstrate how reducing barriers (complicated rules), collaboration (networking with partners), opening up markets (greater liquidity), and embracing common standards (reduced complexity) has enabled other markets to grow (quite significantly) for everyone. This evidence suggests how increasing liquidity will have a similar impact on loyalty marketing as participants strive to retain engagement. At Currency Alliance, we don’t believe giving a customer some miles or points actually generates much loyalty. It may create a degree of ‘lock-in’ but the points themselves don’t create loyalty. Offering points is often expected in exchange for giving up personal data, but more importantly, giving some points in a loyalty program is the opportunity to start a dialog – and through that dialog, a brand can try to build affinity. Creating real loyalty is built through delivering overall value and providing a consistently good experience. The points will only affect the perceived value – if the customer can do something with them. How do we define greater liquidity in loyalty programs? Liquidity is broadly defined as making markets more efficient. This involves making things easier; allowing greater control, choice, and removing barriers or cost. In the context of retail, it is equally about making things less complicated for the customer. It means removing friction around how people collect, redeem, transfer, or exchange the value associated with loyalty currencies. The examples below demonstrate how liquidity was created in various sectors and the significant growth in total market size – for the survivors. Unless the customer is a frequent business traveler or very high spender, liquidity is significantly constrained in loyalty marketing today – and as brands try to re-engage with the mid and long-tail of their customers, offering greater liquidity will be the primary tool applied because it has instant impact and is within the control of brands to offer (or restrict.) The CFO will obviously have something to say about this, but we are confident a strong business case can be made that restricted liquidity damages long-term program ROI. You can probably imagine that a typical customer joins 20 or 30 different programs and quickly recognizes they have a small number of points in most of them with no real expectation in accumulating enough points in any one program to redeem for something of emotional interest, so they quit participating. 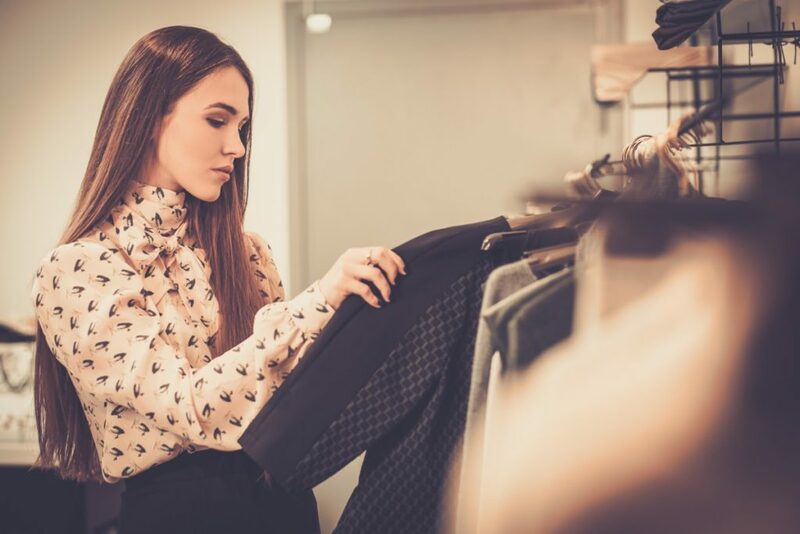 The customer may continue shopping with the brands, but they don’t join the loyalty program because it just isn’t worth the hassle. In most cases they just can’t spend enough with a single brand to accumulate the number of points necessary to redeem for something that motivates them. Of course, this is a huge problem for travel suppliers and merchants because only their top 20% of frequent customers remain active. Therefore, the brand is capturing next to no data on the other 80% of their customers. This ‘other’ 80% represents the mid and long-tail of customers that might be spreading their share of wallet among many competitors, or simply a set of customers that can be profitable when attracted back to the business, but their needs are such that they just can’t spend a lot every month. A typical loyalty program is made up of many components – from the systems that run it, to multi-channel customer-facing solutions, to the points that can be earned as a percentage of sales, etc. All of them can be adjusted, but none will have the direct impact on engagement that offering a loyalty currency the customer wants, or enabling a proprietary loyalty currency to be exchanged will have in appealing to nearly all customers (including the frequent ones). 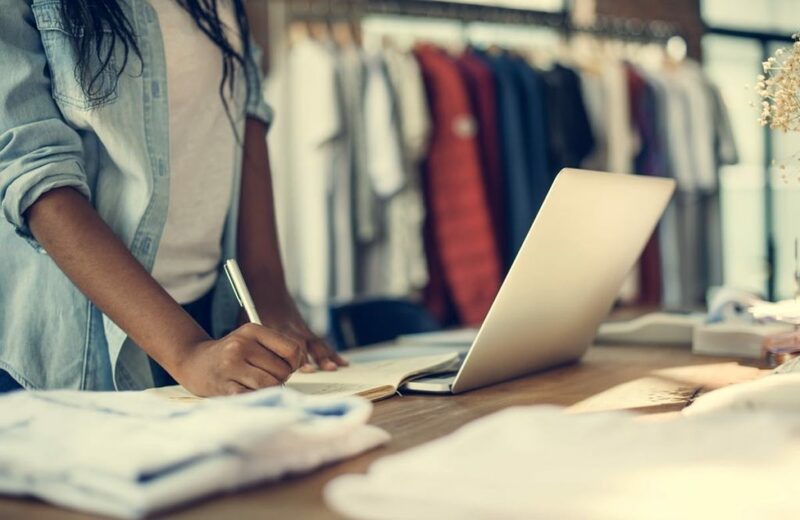 Until loyalty marketers start to think differently about how to engage the entire customer base and build loyalty on the combination of perceived value and experience with the brand, the mid and long-tail will shop primarily based on price. Low margin businesses (like grocery) tend to be high frequency places a customer shops. So points can be earned rapidly, but these businesses rarely offer aspirational products or services the customer would want to redeem their points for. Therefore, partnerships allowing customers to collect points quickly, but redeem for high-margin aspirational services with high perceived value can be a very powerful way to make the loyalty currency worth 3-4 times the direct cost. The issuer of points gets what they wanted – repeat purchases, larger ticket sizes, and greater frequency – and all parties could be benefiting from better data about the customer’s broader preferences. Countries and industries embracing greater liquidity through more open collaboration and efficient ecosystems have grown tremendously over the past 20-30 years. Below are some examples that can help us anticipate where loyalty is headed. The airline industry has gone through massive expansion over the past 25 years and now traveling by air is accessible to nearly everyone. For example, Ryanair carried just over 1 million passengers in 1993. Ryanair carried 106 million passengers in 2016, and carriers such as Norwegian, EasyJet, Spirit and Vueling carried an amazing number of additional passengers – while even the legacy carriers had not lost that much traffic. The barriers have come down dramatically over the past 25 years. You might not think of this in the context of ‘liquidity’ but the availability of seats, low switching cost, reduced border-crossing complexity, and improved airport infrastructure have all contributed to greater engagement (in traveling by air) for the mass market. New inventions are often patented to enable the inventor to capture premium profit for a period of time based on their innovation. Fortunately for consumers, governments promote liquidity in the long-term by ‘opening-up’ the technology after a period of time (the patent cliff). The pharmaceutical industry represents a good example, where the cost of accessing medication comes down dramatically once a patent expires. These so-called generic drugs are much cheaper and help price-sensitive segments of the market to benefit from greater access (i.e. lower cost). According to a report by IMS Health, in the period 2013-2018, generic drugs were due to account for 52% of global growth in pharmaceutical sales, compared to just 35% for branded drugs. Demand grows when products are more accessible, or the marketplace is more liquid. Few marketplaces are more dynamic than financial services. Over the past 30 years, we have seen a vast number of changes, such as much greater efficiency in trading assets (foreign exchange, futures contracts on commodities, stocks/bonds) – which in turn has dramatically increased the volume and value of transactions. Banks are under pressure by the FinTech revolution we are experiencing now and will lead to lower fees and will open up services to a wider market. FinTech companies are creating liquidity in products and services that were historically operated by Oligopolies – and not only are benefits flowing to consumers, but the industry is much more inclusive. The telecommunications industry went through considerable deregulation during the 1990s. This led to lower prices and massive increases in volume. Putting phone, electric, or gas lines into a building was a natural monopoly for a long time, but through greater liquidity in the ‘network’, customers get greater value – and increased volume flows to the best service providers. Similarly, the market for computing hardware and software like PCs and mobile devices has grown as markets opened up and embraced greater collaboration around technology standards (i.e. liquidity). The tide rises for every company that can remain competitive as markets evolve. The losers, when markets go through major evolutions, are those who don’t adapt. It is human nature to constantly strive for greater efficiency, and markets will always evolve toward a more liquid and efficient state. As this happens, customers migrate to the supplier that offers the best overall value (not necessarily the lowest price). Liquidity in the context of countries comes from lower trade barriers, more lenient immigration policies, floating the fiat currency on the open market, and enabling foreign investors to have certainty over the protection of their investments. Economies have grown dramatically when nations removed barriers to trade and embraced a more open economic policy. Many countries have experienced explosive growth over the past 20-30 years. The BRICs (Brazil, Russia, India, and China) were a very popular discussion topic during the past decade and the key to their growth was introducing more liquidity into their markets. Brazil and Russia have run into some political and corruption problems, but their growth remains strong. In Europe, Spain grew tremendously after the dictator left power in the 1970s – and didn’t stop until the ‘lack of liquidity’ with banks caused a severe recession in 2007. In fact, it was lack of liquidity that kept the economy from bouncing back until just a few years ago. There are also many smaller economies like Peru that are growing at 7% by ‘opening up’ and enabling greater freedoms for their businesses and citizens. Vietnam is particularly interesting. The country still has problems with poverty, but the economy has been growing at 5%-7% since the 1980s with GDP up considerably each year. Vietnam has been able to control inflation as it grows, which attracts investment and allows the standard of living to rise. This increase in investment and business has led to a rise in opportunities and an influx of new products and services for its citizens. The middle class in Vietnam will double to 33 million people by 2020. Even the startup scene is booming in the country. A report by PWC on the world in 2050, forecast Vietnam as the biggest mover in terms of global economies between 2016 and 2050, moving from 32nd to 20th. Adding liquidity is producing profound change that is affecting the mass population. Each of these examples demonstrates how promoting collaboration (networking with partners), reducing barriers (complicated rules), opening up markets (greater liquidity), and embracing common standards (reduced complexity) enables the market to grow for everyone. Such examples make it fairly clear that the same can happen with loyalty marketing. Liquidity is the common theme in each example. Low cost airlines might have reduced prices for the benefit of consumers, but their business model led to many secondary changes and helped to drastically increase the volume in the industry. As markets and the companies that operate in them make it easier for customers and trading partners to do business, friction is removed – which draws in the mass market of consumers – and activity greatly increases. We estimate there are over $500B (that’s right; BILLION) worth of loyalty currencies in circulation worldwide. That is a huge number. Only 23 nations have a larger economy. By treating this value more like money, we can apply many best practices from other industries to help businesses and customers realize more value. And, since people often value ‘experiences’ higher than the money that can buy them, we can help increase the perceived value of loyalty currencies without increasing their cost to loyalty program operators. We are seeing signs in loyalty that brands (Hilton, La Quinta, Choice Hotels, and American Express) are making it easier for their customers to use their points balances for a much wider array of products and services. The moment you start treating loyalty currencies like money, you can give your customers many more interesting options without having to manage a specific catalog – and keep it fresh. A fall in prices combined with an increase in volume leads to “customer welfare” – i.e. customers realize greater benefit. I believe customer welfare across industries exists on a continuum – let’s say from 0 – 10, where no industry has yet reached 10. In the examples cited, customer welfare rose from perhaps 4 or 5 to 8-9, but I think in loyalty (with the exception of frequent travelers and other heavy spenders) most customers remain around the lower tiers. The one change you can make to jump up 2, 3, or 4 levels without breaking the bank is adding loyalty point liquidity. First generation loyalty programs were designed to ‘lock-in’ a customer in exchange for some rewards. More recently the focus has been rewards and experiences in exchange for Big Data. The future will be defined by offering greater loyalty point liquidity in exchange for access to a richer, 360 degree profile of customers based on everywhere they shop. Accessing such a rich profile will be facilitated by Blockchain, customer-controlled data wallets, and progressive personal data protection regulation (such as GDPR in Europe). Customers have demonstrated they are fairly happy sharing data about themselves in the hopes of getting better service and some special offers. Of course, enabling total liquidity with loyalty currencies could be dangerous for loyalty programs. Some of the larger programs could bankrupt their owner’s business if all the points were redeemed too quickly. Or, if too many points were converted to a specific brand during a short period, that brand could struggle to service the redemption obligation. And, if you enrich the program by being too generous, ROI could go down (not up). Brands talk about putting their customers first, but when it comes to trusting their customers with more freedom around earning and redemption, the ‘words’ often don’t materialize into actions. Creating “customer welfare” rather than seeing customers as numbers and simply trying to keep them locked in is much more likely to result in genuine customer loyalty in the long-run. And the best way to generate this customer welfare is via increased loyalty point liquidity. So, given the examples we’ve explored, how do we lead the liquidity revolution in a way that benefits our own businesses? I believe the most important aspect is that brands will almost certainly need to work together. Collaboration around common loyalty currencies and sharing data (in a compliant manner) is the only way to understand the customer well enough to compete with giants such as Amazon, as well as more recent players such as Airbnb, Uber and Booking. Although it is logical that brands have wanted to focus on their own individual loyalty programs and try to ensure that customers only use their loyalty currency, in the coming years this will no longer be enough. The modern customer is very different to customers only 10 years ago. They operate in more liquid, flexible markets and are likely to be apathetic toward loyalty programs so long as they see very little prospect for receiving back something of value to them or if they encounter complicated barriers. If customers were able to exchange loyalty currencies as easily as they exchange fiat currencies at the airport, this would definitely boost customer welfare and motivate customers to collect more of the loyalty currency in the first place – independent of where they redeem. And it wouldn’t just be the customer benefiting. Brands are currently limited by only having customer data based on the customer’s shopping activity in their store. If a company is part of a loyalty ecosystem with other brands, then those brands would be able to share top-level data about their customers without sharing specific transaction details. In a world where customers are increasingly expecting personalization in almost all of their experiences, this more complete profile would enable brands to deliver on their personalization goals. For those familiar with the loyalty sector, you know that Coalition Loyalty programs – where many merchants issue a common loyalty currency – have been relatively successful over the past 20 years. Especially in countries like Germany, the UK, and Canada. However, the existing operators of coalition program have been extracting a very significant margin for their intermediary role. Coalitions as we have known them did deliver much greater liquidity to customers – and thrived because of this. However, the current business model is not engineered to allow more value to flow through to the customer (so, they represent greater liquidity but with considerable unnecessary friction). At Currency Alliance, we’re convinced that the customer loyalty market will be based around a much more open ecosystem. This implies broader collaboration between brands offering customers the loyalty currency most desired by each customer – while maintaining control over partner activities. When customers can capture much more value in a single account and have greater freedom to spend it how they want, many people who are currently apathetic about participation will once again become active. We believe there are hundreds of millions of people in Europe and North America who understand loyalty programs perfectly, but choose to not participate. These are the people representing 60%-80% of your customers that you probably don’t know who they are. Greater loyalty point liquidity would draw them back in. As we’ve seen in other sectors and countries, markets migrate toward increased liquidity and greater customer welfare. If you desire greater welfare for your customers, then the best way to go about it is by lowering barriers and by being more flexible and innovative when it comes to the design of your loyalty program. In the year 2022 the way in which customers interact with different loyalty currencies from one store to the next is likely to be a lot more fluid and open than is the case right now. Digital transfers from one currency to another in the cloud will be done with a simple swipe of a screen and the companies with the best value proposition will attract most of the points back in the form of redemptions (providing first-hand satisfaction). You might be sceptical about being part of an open ecosystem where their loyalty currency could be exchanged for another brands’. However, I speculate that the alternative is that il-liquid loyalty currencies simply will not be valued at all by most customers. No brand has the digital infrastructure and data on its customers that Amazon is accumulating. To compete in the future, most companies will have to increase collaboration in a broader ecosystem and offer more loyalty point liquidity. Blockchain may be part of the solution in generating greater liquidity, but we are years away from that becoming a reality because of operating costs, frequent changes to the underlying infrastructure, and lack of partners on any Blockchain with which to do business. We believe Blockchain will be a very transformative technology and have tremendous impact on business and society over the next 5-20 years, and Currency Alliance will lead initiatives to use it for loyalty, but it will be 3-5 years before the infrastructure is stable enough and smart contracts are mature enough to enable real benefits. In recent years, the customer has evolved to be quite accustomed to sharing data about themselves and being part of various social and commercial networks in order to feel more connected. If customers are ready to participate in an open ecosystem in order to get better perceived value, it seems logical for brands to take this as their cue to do something similar. Focusing on customer welfare allows you to add an emotional dimension to the equation. Treating the customer like a person, rather than only trying to maximise Lifetime Value (LTV) and Key Performance Indicators (KPIs); and, viewing them as more than a number in a database is much more likely to result in genuine customer loyalty. People sense through every touchpoint when they are treated like a person rather than a number. The customer loyalty sector is poised to evolve as other industries have done by embracing shared technology, breaking down barriers and encouraging greater loyalty point liquidity. There is no fast way to create real customer loyalty, but additional steps can be taken by providing customers with more options, increased flexibility and greater perceived value. It basically means treating people with respect. I acknowledge that many loyalty programs seem to be working “OK” because the company operating them has kept them alive. But “working OK” is the enemy of working great and I hope many of my loyalty marketing colleagues are tired of being mediocre.